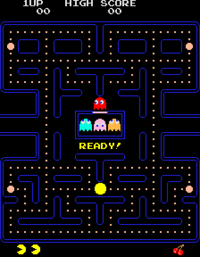 Today in 1980, the arcade game Pac-Man was first released in Japan. Immensely popular from its original release to the present day, Pac-Man is considered one of the classics of the medium, virtually synonymous with video games, and an icon of 1980s popular culture. Pac-Man succeeded by creating a new genre and appealing to both genders. Pac-Man is often credited with being a landmark in video game history, and is among the most famous arcade games and one of the highest-grossing video games of all time.